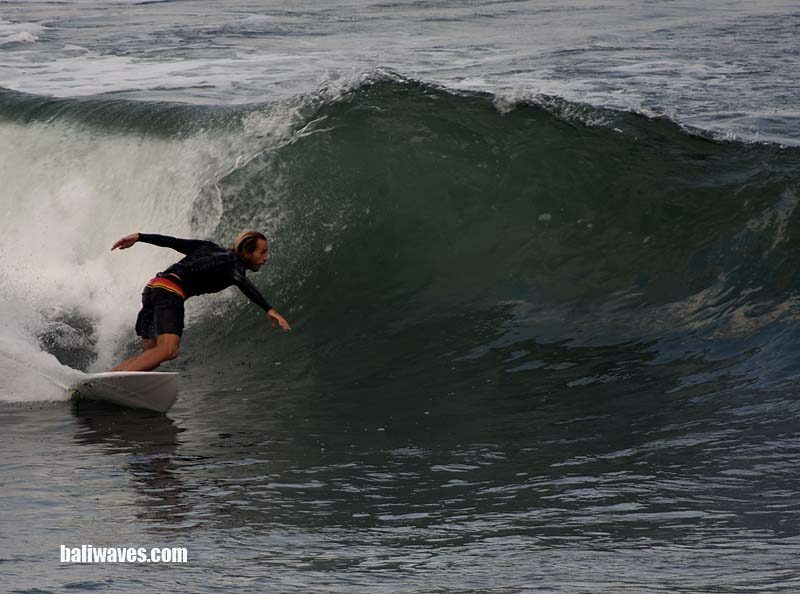 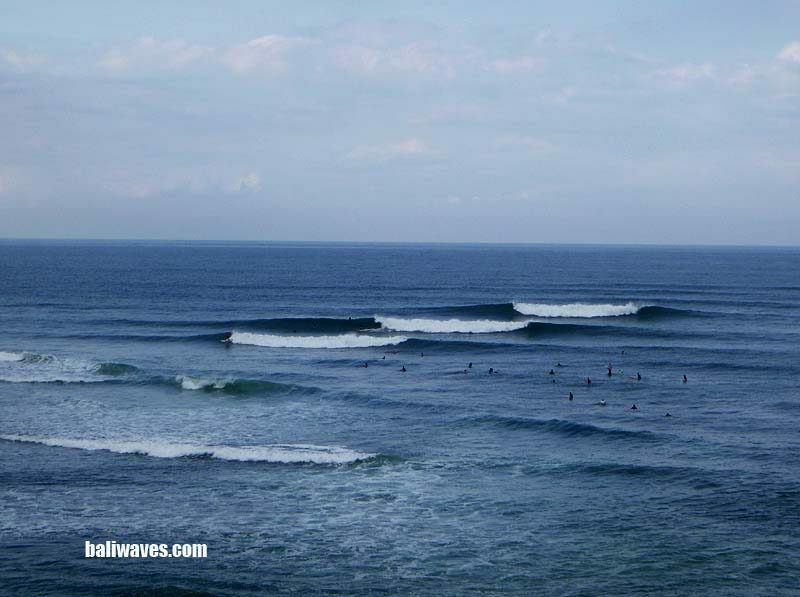 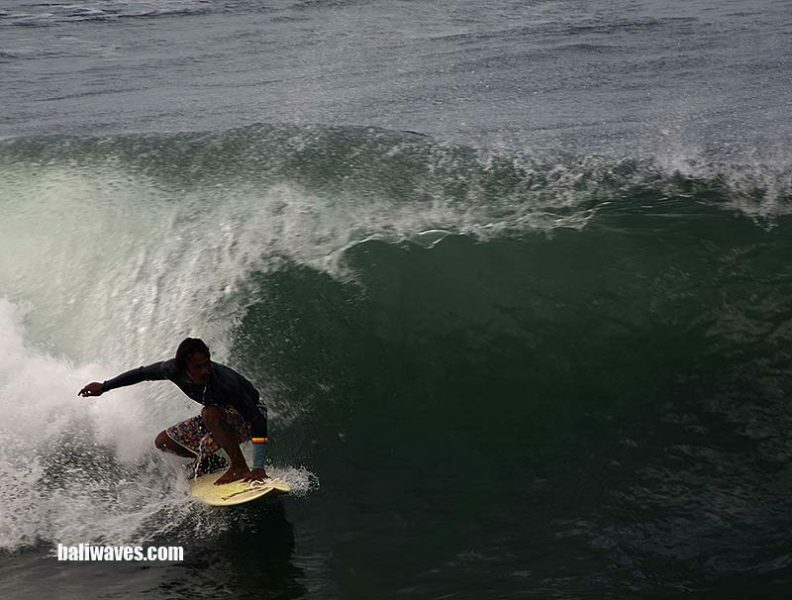 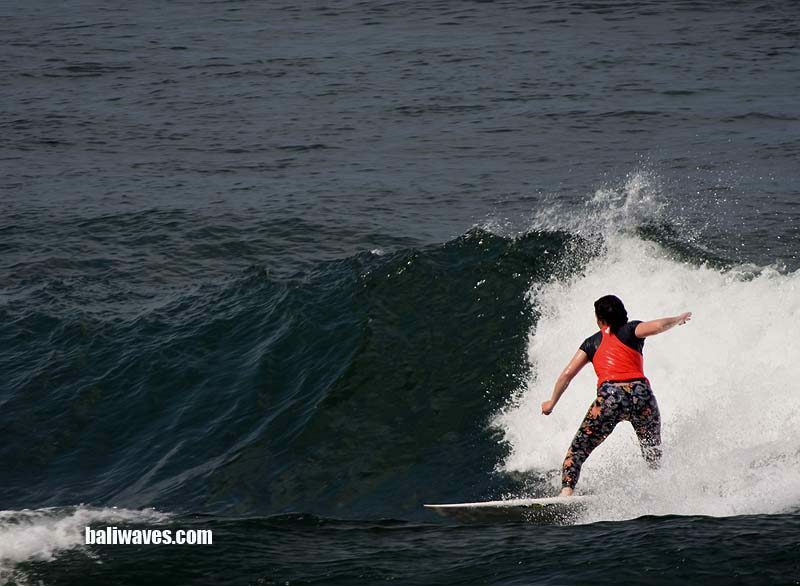 Hi people and thanks again for dropping into the baliwaves (surfing our way all over Bali since back in 1999) for our latest news and best possible views on surfing and weather conditions. 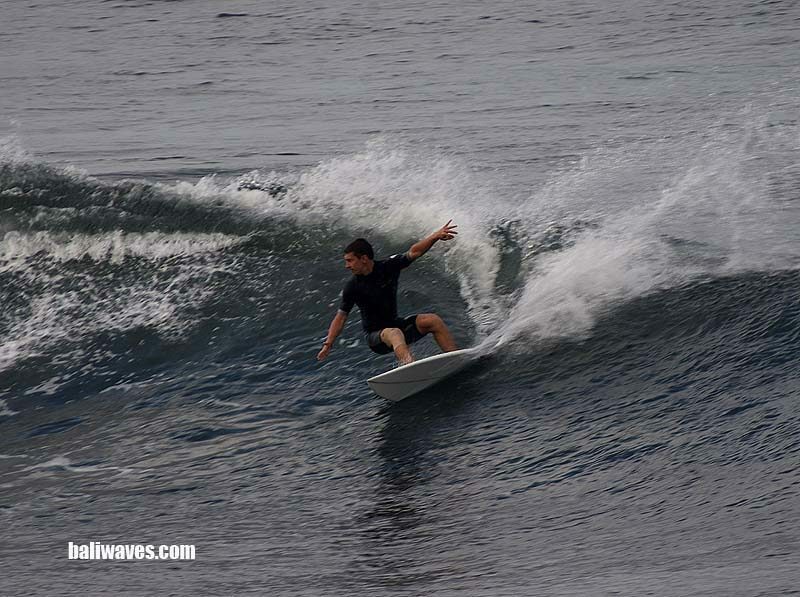 From right here on the No.1 tropical surfing holiday destination and gateway to Indonesia’s surfing paradise, Bali. 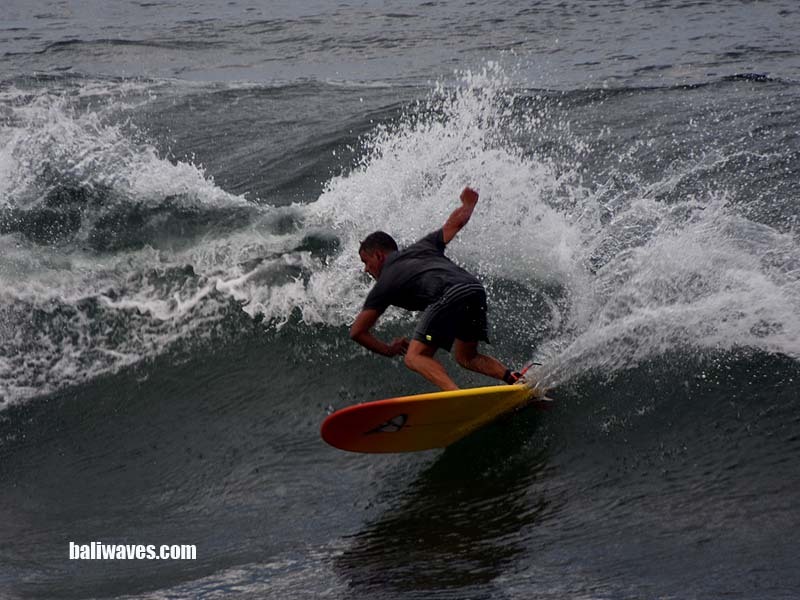 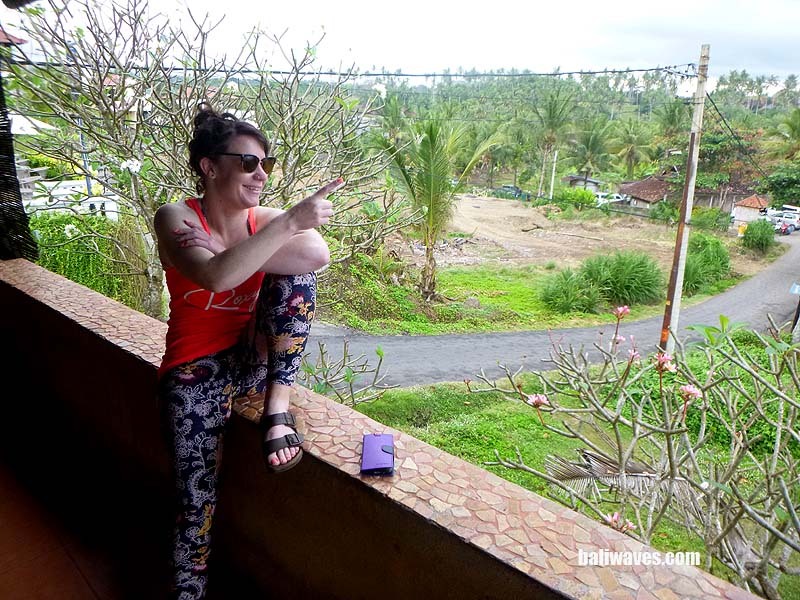 Alright then we got off to another early start this morning and made our way p the West Coast through the dark and rain for another fun filled day at Balian. 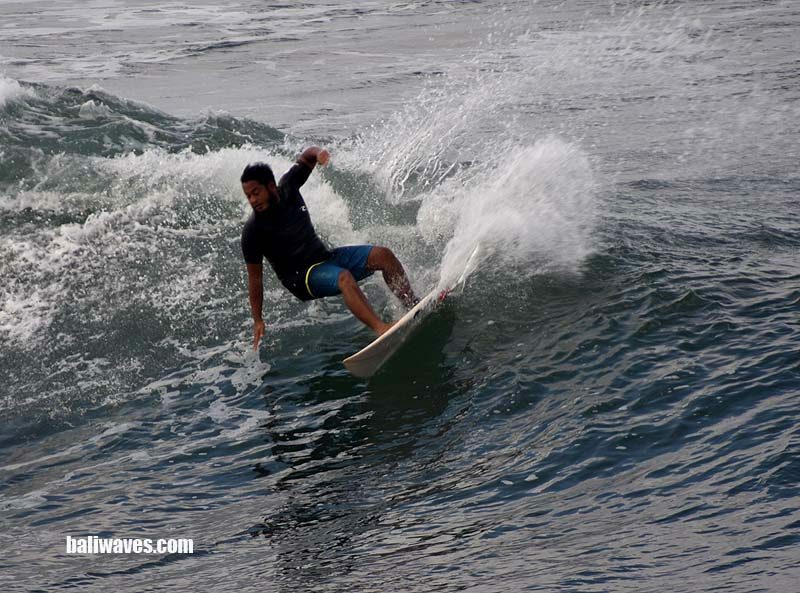 We only hit Balian when conditions warrant it and with small waves everywhere down on the Southern end today was definitely a Balian type day. 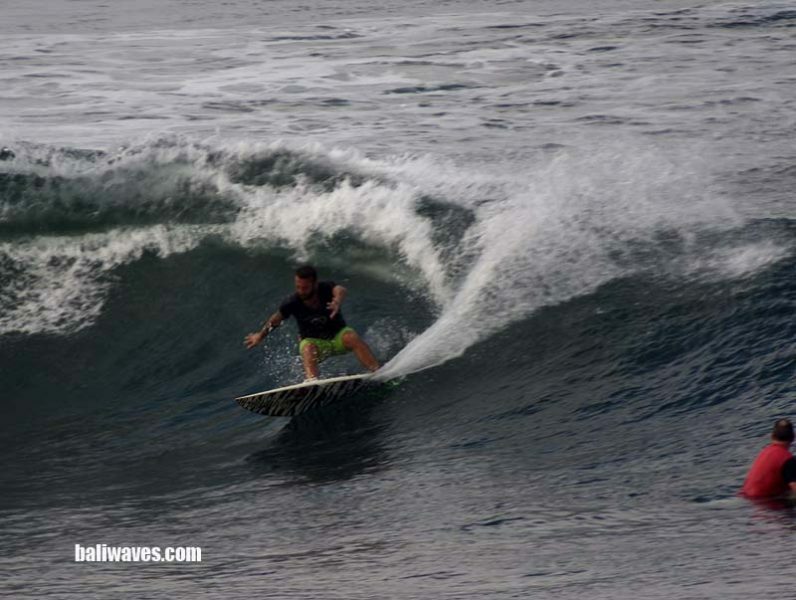 Arriving right on breakfast time at Dekis Warung to find wave height not too bad with some well over head high set waves out on the left and right peak, while the inside left was a consistent head high. 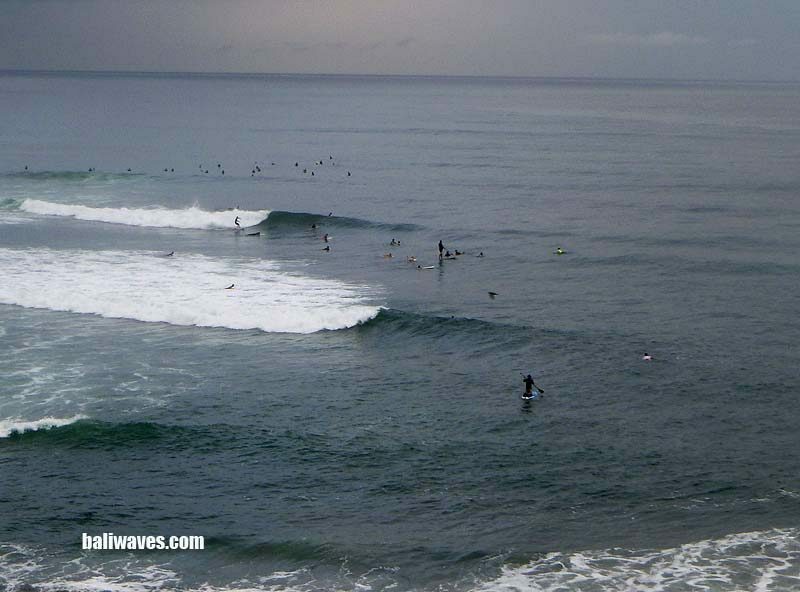 There was a solid crowd of learners at Balian today and not much English being spoken out in the line up. 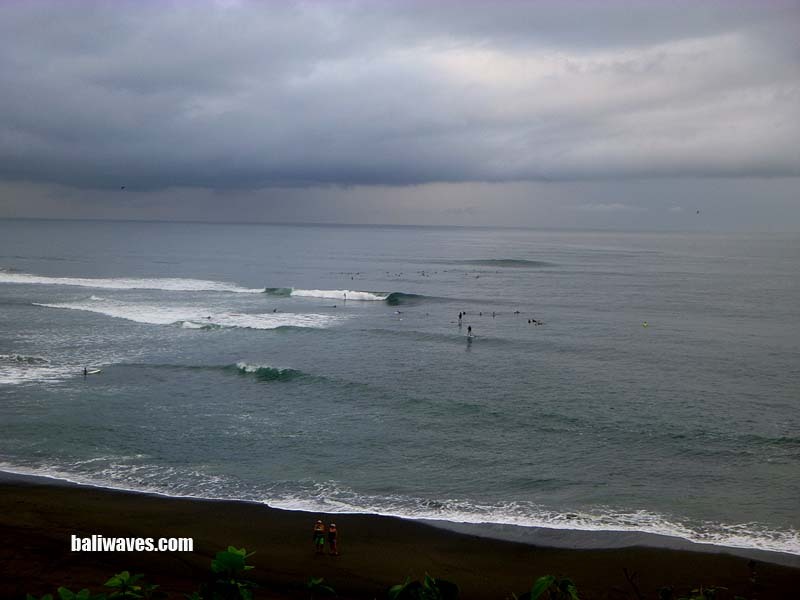 But Balian is just a fun wave and I guess most people out in the water were having fun. 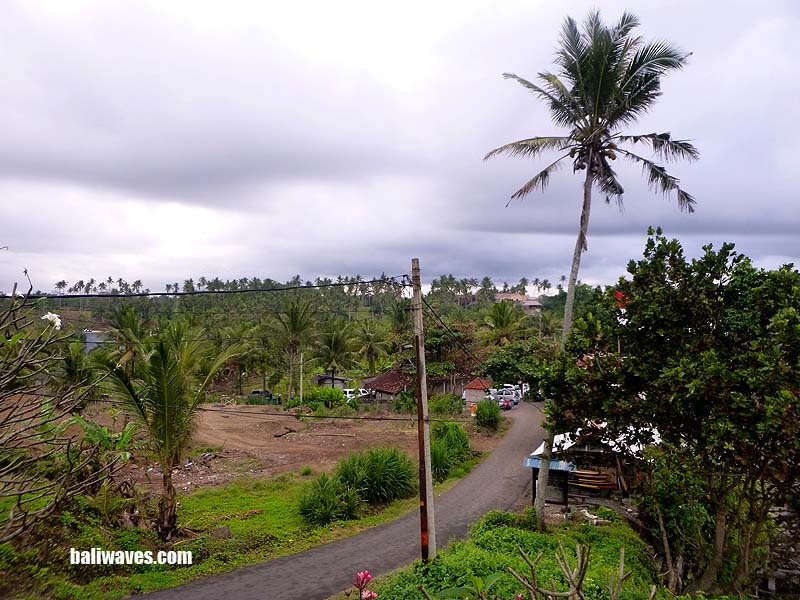 Weather wise it was a wet morning around the Seminyak to Tabanan stretch on the way up the copast but then coming out hot and sunny when we were on location. 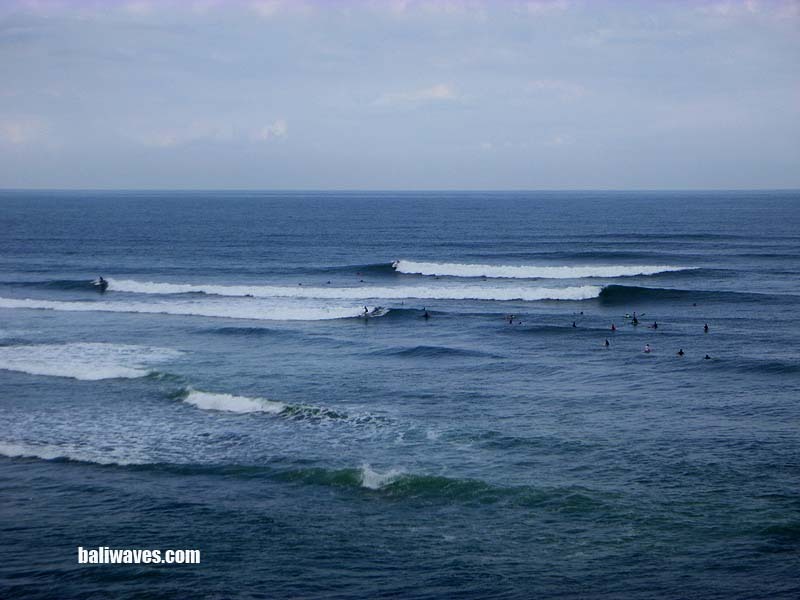 It wasn’t too bad an afternoon back here in Tuban as well.